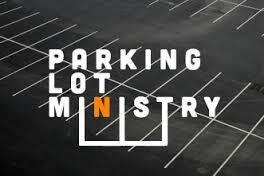 The Parking Lot Ministry are our first “greeters” and is responsible for ensuring order as people come onto the church property and as the transition occurs between service. The members of this ministry assist people with disabilities, the elderly and maintain the parking lot so that it is free from trash. This ministry is in charge of keeping the flow of traffic on target, help during inclement weather, and making sure our seniors member along with the congregation are safely in the buildings. Do you enjoy serving others? If so, then come share your gift as a member of the Parking Lot Ministry.